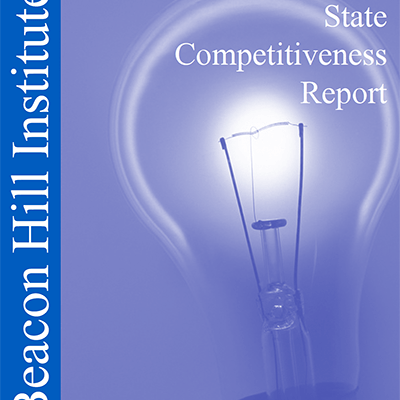 BOSTON – (July 29, 2016) Massachusetts once again secured the top spot on the Beacon Hill Institute’s 15th Annual State Competitiveness Index (SCI). 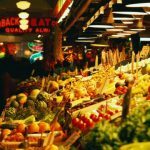 The index measures the ability of states to grow their economies and increase personal income. Massachusetts has retained the number one position each year since 2011. 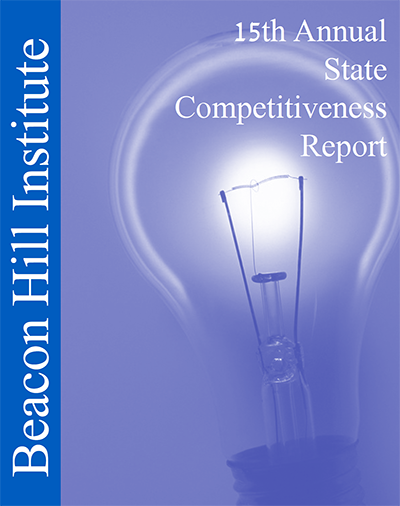 The BHI competitiveness index is based on a set of 43 indicators divided into eight sub-indexes – government and fiscal policy, security, infrastructure, human resources, technology, business incubation, openness, and environmental policy. Known in the field as a “productivity index”, the BHI ranking distinguishes it from more narrowly-focused measures that target only taxes, high technology, quality of life, or economic freedom. The State of Washington’s Department of Commerce gives high grades to the BHI Index for its transparency, methodology and variability. North Dakota once again finished second, followed by South Dakota, New Hampshire, Iowa, Nebraska, Minnesota, Rhode Island, Vermont and Texas. While the rankings in sub-index measures were far from uniform, states that paid attention to fostering a well-educated and healthy workforce scored well. 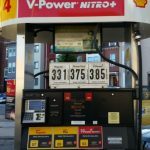 Rhode Island’s rise may be temporary and due to a one-time multi-billion dollar Initial Public Offering by a major bank in 2014. 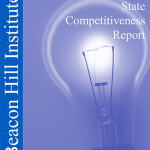 Massachusetts showed formidable strengths in its human resources (for example a high number of residents with health insurance and low infant mortality rates), technology (as a recipient of National Institutes for Health grants to local institutions and its large base of science and engineering graduates and high-tech employment), and business incubation, where Massachusetts draws the second top ranking in terms of venture capital per capita and ranks eighth in IPO dollars per capita. New Hampshire which has bounced around in the top 20 for the past 10 years appears to have regained its footing. The lowest-ranked states were West Virginia (46), New Jersey (47), Alabama (48), New Mexico (49) and Mississippi (50). Policymakers often compare a state’s performance with that of “leading technology states (LTS).” However, these states do not always prove to be competitive according to the SCI. Massachusetts (1) Minnesota (7) and Texas (10) are the only LTSs to finish in the top 10. Other LTS states ranked as follows: Colorado (14), Connecticut (32), North Carolina (15), New York (27), California (35), Pennsylvania (36), New Jersey (47) and Virginia (12).